A new discovery by Yale researchers may help lead to individualized treatments for lung cancer and other types of cancer. A Yale-led study describes how a known cancer gene, EGFR, silences genes that typically suppress tumors. The finding, published in Cell Reports, may lead to the development of more effective, individualized treatment for patients with lung cancer and other cancer types. Mutations in the EGFR gene are linked to multiple cancer types, including cancers of the lung, brain, and breast. Yet scientists did not know precisely how EGFR represses genes that prevent cancers. The Yale team conducted multiple experiments and found that EGFR silences tumor suppressor genes in lung cancer and glioblastoma, a type of brain cancer. “EGFR can target multiple unrelated tumor suppressor genes in different cancer types using a common mechanism,” said senior author Narendra Wajapayee, assistant professor of pathology and a member of Yale Cancer Center. 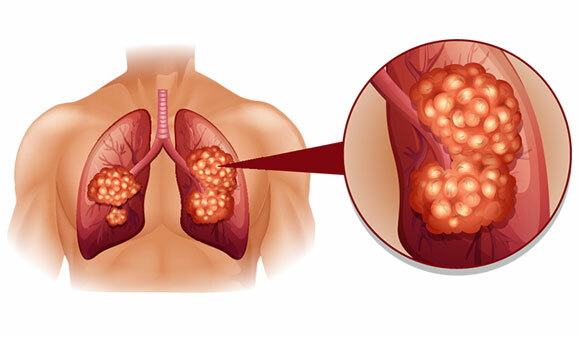 EGFR silences these genes by negatively regulating a protein called TET1, which is required to suppress tumors, he noted. Be the first to comment on "Yale Study Reveals How a Cancer Gene Promotes Tumor Growth"